At Lavender House, Evie McIntyre is haunted by the whispers from her bedroom closet. Be-fore she can make sense of their murmurs, the house "warbles" between times and transports her to the Civil War. Past and present have blended, and Evie wishes she'd paid more attention to history. Especially since former Confederate officer, Jack Ramsey, could use a heads up. Torn between opposing forces, Jack struggles to defend the valley and people he loves. Meet-ing Evie turns his already tumultuous world upside down. Will solving the mystery of the whispers return her home, and will the handsome scout be by her side? What had happened to the room? displaced the frou-frou décor. Simple wooden chairs, stools, and a plain couch were arranged in a circle. A small table supported a large black book, possibly the Bible. Discarded knitting lay on a side table. A spinning wheel sat in one corner. remembered. Her grandmother’s cherished things were gone. Everything had changed, and yet, the layout of the room was the same. Doctor Who, not her world. “Nor are you.” The man called Jack returned the match tin to his pouch and studied her by the flickering light, his sandy brows arching under the broad brim. “Not in this life,” she said in a bare whisper, realization nagging at her. She nodded, gazing into the most glorious greenish-brown eyes, like sun-dappled trees. Wham. Review: I love a good time travel romance. This one is Civil War Era and its simply amazing. Evie is staying at Lavender House with her gran. The house has historical significance as it is the only house to survive the burning of the Shenandoah Valley by Sheridan's troops. Evie is a tour guide at the house. She's also a little afraid of her closet, where she hears strange "whispers". Its the closet that helps transport Evie back to the Civil War era where she meets Jack Ramsey a former Confederate soldier. This book was absolutely amazing with a mixture of romance and mystery. I really loved the historical aspects of this novel. Married to her high school sweetheart, Beth Trissel lives on a farm in the Shenandoah Valley of Virginia surrounded by her human family and furbabies. An avid gardener, her love of herbs and heirloom plants figures into her work. The rich history of Virginia, the Native Americans, and the people who journeyed here from far beyond her borders are at the heart of her inspiration. 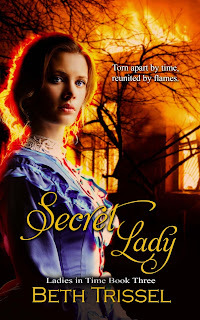 She's especially drawn to colonial America, the drama of the American Revolution, and the Civil War. And she loves a good ghost story. She writes Young Adult, New Adult, historical, time travel, and paranormal romance, plus nonfiction. 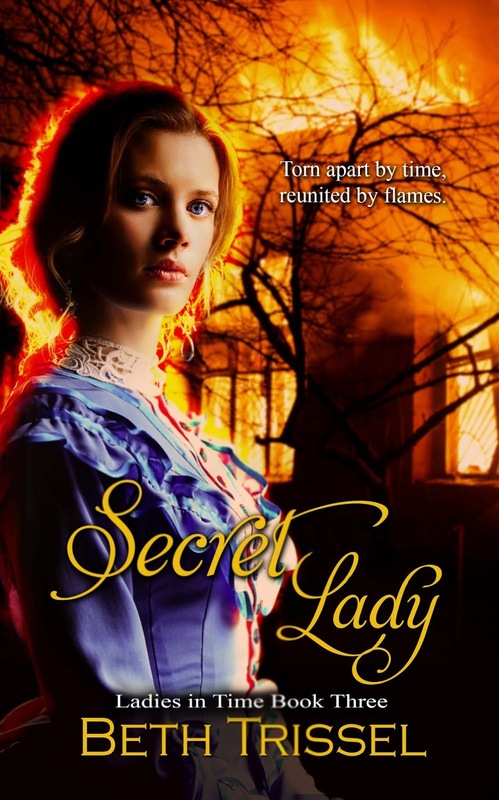 Secret Lady (Ladies in Time) was based events that occurred to her ancestors and her husband’s Mennonite forebears during the Civil War in the Shenandoah Valley. And in eBook format from all other online publishers. Beth Trissel will be awarding a $25 Amazon or Barnes and Noble GC to a randomly drawn winner via rafflecopter during the tour. Thanks for hosting and for the lovely review. Sounds like a book I'll enjoy reading. Thanks for hosting!Great review, looking forward to read!